How exactly do you get people to sign up for your newsletter? Maybe the more important question is: how do you get people to want to sign up for your newsletter? This question will not be completely answered here because there are so many factors that go into your marketing strategy. These factors are then varied based on the industry you’re involved in. What I can tell you is that you need to find out what makes your visitors/customers “tick”. Researching your site’s demographics can help with this. Here are a few tips you can use to create buzz around your newsletter. Content – First and foremost you need to remember that nobody will want your newsletter if it contains useless information. Always provide new, quality content. If you keep rehashing the same material over and over or copy content from other sources on the Internet, you will not be able to maintain a consistant subscriber list. Free stuff – If your newsletter is primarily used to promote products and services that you’re selling, you might want to think about giving away something for free to get people to sign up. This will show your visitors that you are interested in keeping them around. Free stuff can include a special edition newsletter or a free eBook on a subject of interest for your visitors. Speak the truth – Don’t fill your newsletter with bogus information, half-truths or outright lies. This will ruin your reputation and make you lose subscribers faster than you can send out your next message. This is especially true if your newsletter revolves around the latest news in your industry. 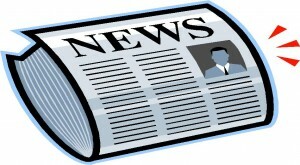 Be consistant – If you tout that your newsletter will be delivered weekly, send it weekly. In fact, send on the same day and time. Think of your publication as you would the daily newspaper. If you read it, you probably expect it at a particular time everyday. Your visitors will expect the same from you. No spam – Never spam your visitors! Don’t send them offers that you know they won’t be interested in. Never sell your email list (unless you explicitly say you will before someone signs up) to any third party companies. Most of all, don’t overdo it!! If your visitors are expecting a monthly newsletter, don’t send one daily. If your visitors know that your newsletter will contain the qualities mentioned above, they are more likely to sign up. The best advice I can give you is to put yourself if their shoes. If you were on someone’s website, what would make you want to submit your email address? On the other side, what would make you not want to submit your email address?